This entry was posted on 7th November, 2012 by Haxnicks. By Jo Sensecall - November is “spring clean” time the garden! With nothing to plant, you should clear any remains of crops for composting and fork over bare ground. Store away hoses, pots and canes and have a general tidy up. Cover any pots that you have which are not frost proof with jute material, or fleece, this will stop them from cracking. Lifting them off the ground with blocks of wood or special ceramic feet is also good idea. 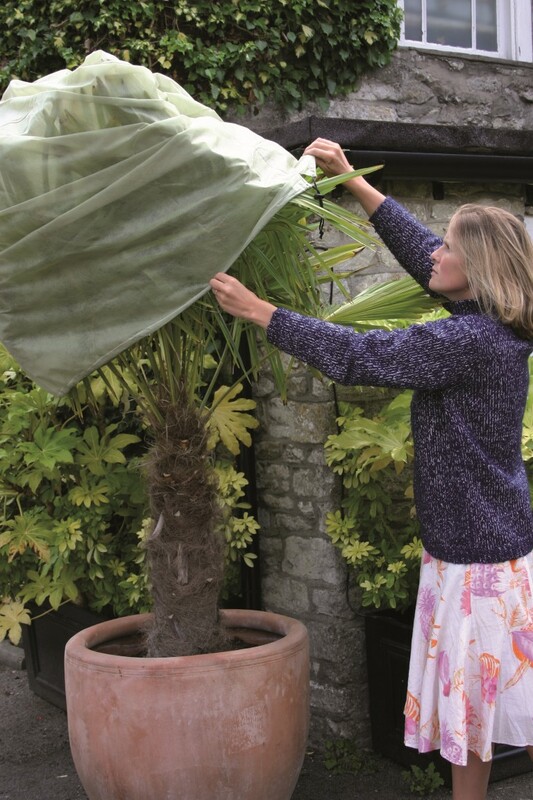 Use our Easy Fleece Jackets to cover any fragile container plants and to protect them from early or late frosts. These Easy Fleece Jackets are ideal for overwintering plants in containers or hanging baskets and have an integral drawstring for easy and practical use.